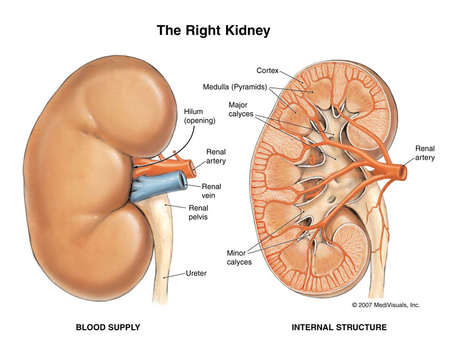 Healthy kidneys are vital to optimal bodily operation. They are among the smallest organs in the body, but they perform a number of important functions, including making urine, removing waste and extra fluid from your blood, controlling your body’s chemical balance, helping to control your blood pressure, helping to keep your bones healthy and helping you make red blood cells. This Tip Thursday, we share six nutritional tips to help you keep your kidneys in tip-top shape. Eat a variety of foods from the six Caribbean foods groups in the appropriate amounts. Do not eat more protein than the body needs. The normal healthy adult needs 0.8 to one gram of protein per kilogram of body weight. Eating more protein than the body needs will result in the kidneys overworking to get rid of the excess. Do not eat more carbohydrates-rich foods than the body needs. Excess carbohydrates in the diet causes the body to secrete extra insulin to get glucose into cells for energy, if not used, it is stored as fat. In the case of persons with diabetes, the excess glucose causes sugar in the blood to increase and result in kidneys overworking to make extra urine to get the excess sugar out of blood. Do not take multivitamins, especially Vitamins B and C, in excess of 200 per cent of Recommended Dietary Intake (RDI). These vitamins are water-soluble and are not stored by the body and as such, consuming more than the body needs will cause the kidneys to make extra urine in an effort to get rid of the excess vitamins. Drink 6-10 eight-ounce cups of water every day. This is dependent on your level of physical activity – more activity means the consumption of more water. Drink more plain water instead of juice, drinks, coffee and tea in an effort to give kidneys less work to do. From registered dietitian/nutritionist Marsha N Woolery, published in The Gleaner.